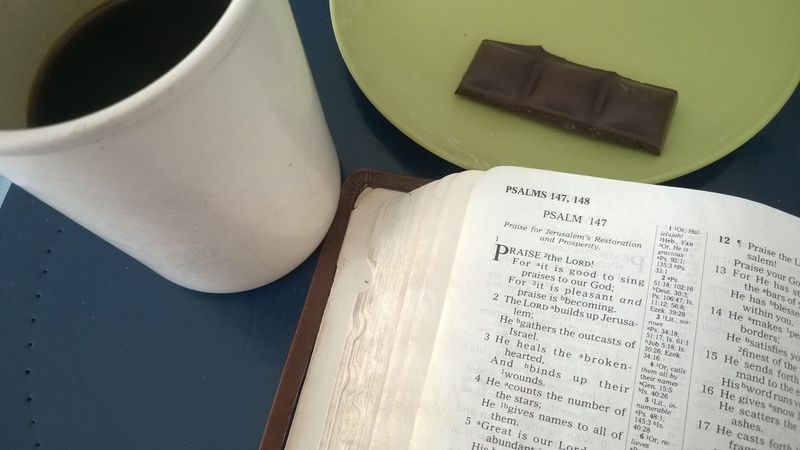 The home stretch of the book of Psalms is full of songs of praise, and Psalm 147 is no exception. Brueggemann’s classification scheme designates it as a psalm of new orientation, in which the formerly oppressed and wounded of Israel praise God for coming to their aid. Having been lifted out of the pit of suffering, Israel now worships God in song for his protection and provision. And it’s a song composed specifically for the people of Israel. Right after the opening “Hallelujah!” (Hebrew for “Praise the Lord!”), the psalms tend to dig into the specifics of God’s praiseworthiness, and this one cites his kindness to a hurting nation. The psalmist writes, “The Lord…gathers the outcasts of Israel; He heals the brokenhearted and binds up their wounds” (2-3). And when he says, “He counts the number of the stars; He gives names to all of them” (4), those stars are a metaphor for the descendants of Abraham. Remember when God promised Abraham that his children would rival the stars in the sky in sheer number (Genesis 15:1-6)? The psalmist remembers. And he’s seen that God remembers too. He has blessed your sons within you. He satisfies you with the finest of the wheat” (13-14). God establishes peace in Jerusalem and fortifies its defenses. He gives food to its people and blesses generation after generation within its walls. The psalmist concludes that his people are a special people: “[The Lord] declares…His statutes and His ordinances to Israel. He has not dealt thus with any nation, and as for His ordinances, they have not known them” (20). Elitist? Overly possessive of God’s laws, to the point of exclusivism? Perhaps; I’m willing to entertain the notion that the psalmist, like Jonah, wants to deprive the gentile nations of God’s word and let them die in their sins. But on the other hand, God did entrust his Law to Israel, and I think we could reasonably fault ancient Israel’s pagan neighbors for not wanting to know God’s word. With some exceptions, the Bible reports the gentile nations as being much more concerned with going to war against God’s people than learning the Torah from them. But God’s goodness isn’t exclusively for Israel. It’s also for…um, animals. And plants. The psalmist describes God as giving rain to the grass, and in turn nourishing the world’s fauna: “He gives to the beast its food, and to the young ravens which cry” (9). And God has a good, well-ordered plan for nature in general; the latter verses see him laying down the snow and cold of winter to demonstrate his power, and then melting them to return the world to its most prosperous seasons (16-18). The passage is reminiscent of Job 38:22-30, which depicts God’s storehouses of snow and control over precipitation in all its forms. I still can’t help but feel that this particular psalm may leave the gentile nations out in the cold, bereft of grace—but hey, the book’s not over yet, and the only way to find out is to read more psalms. I’ll see you guys tomorrow. Posted in Daily Reading, Genesis, Job, Old Testament, Psalms.Tagged bible, blessing, christianity, devotional, God, healing, Israel, Judaism, Psalms, skeptic, worship.